Top Floor Apartment within quiet cul de sac close by West Kilbride's town centre and with pleasant outlooks over The Glen from the front elevation, representing an excellent example of a spacious home which will be of immediate appeal to a broad sector of the market. In more detail the bright accommodation on offer comprises: communal entranceway with carpeted stairs leading to the upper level, reception hall with store cupboards, double aspect lounge/dining room, modern fitted kitchen with appliances and two built in cupboards, two double bedrooms and modern bathroom suite with shower over the bath. 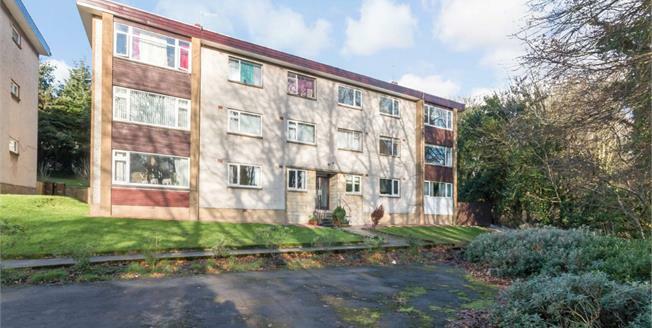 The property has gas central heating and double glazing.. Communal garden grounds. West Kilbride / Seamill boasts many amenities to include excellent primary schooling and local shopping facilities. For the commuter there are excellent road and rail links for destinations further afield.